Today is the first day on my June healthy life challenge. I've decided to set myself some small goals along the way to keep me going through the month. Today's goal is to drink more water. I'm terrible at drinking water. I love soda, especially cola. I'm a self proclaimed colaholic. Only 1,1% of the water on earth is suitable for drinking as is. Our bodies consist of 55 – 75% water. Depression and fatigue can often be symptoms of dehydration. 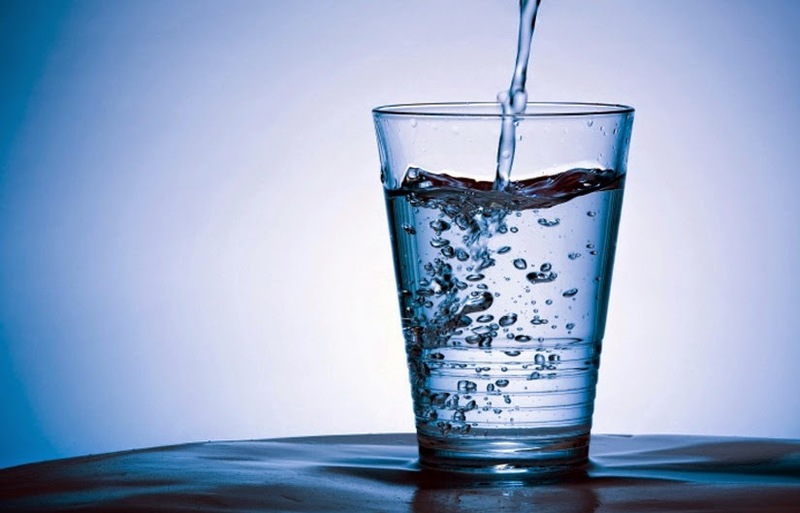 It is healthy to drink water with meals, as it aids the process of digestion. Water allows the body to metabolise fats more efficiently. Good water intake prevents the skin from sagging. Water is the main food the body needs. The thirst reflex only appears when our bodies are already dehydrated. Children dehydrate more quickly than adults do, and a survey revealed that 65% of school children drank too little water. A 2% reduction of water levels in the body can lead to a 20% decrease in mental and physical performance. Dehydration may induce contractions in pregnant women. So today I am going to try and drink three 16oz cups full of water. Wish me luck!